취지: 모든 수익금은 도움이 필요한 가족을 위해 샤용됩니다. 모든 등록을 완료하기 위해 다음의 단계를 따라해 주세요. 1. 아래 있는 등록 양식을 채워주세요. 만약 개인이시라면 기입하실 수 없는. 항목에는 N/A을 기입해 주세요. What: One day BVB tournament. How: Fill out the registration form below and submit payment as soon as possible! No problem. Fill out the form as much as you can and we'll help with the rest. any boxes that you cannot fill out). 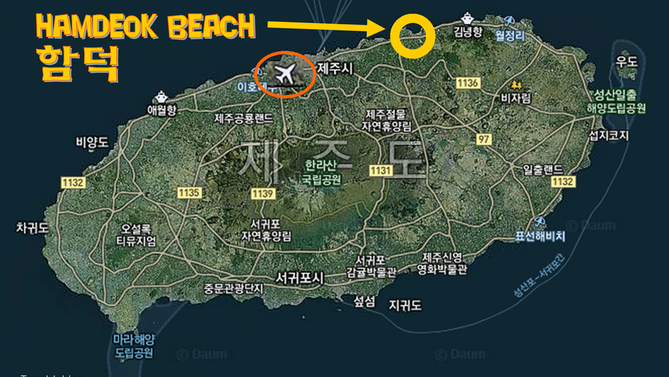 20~25 minutes east of Jeju City • 제주시에서 함덕해변까지 20~25분정도 걸립니다. -there are several children and students who attend this event and we want the event to continue to be a relaxing place for parents and teachers to bring their kids. -we will send emails requesting name changes if necessary, but please do not put us in that position. -simply avoid all sexual innuendos, double-entendres, lewd, vulgar, profane, and offensive references or plays on words. DEADLINE for team names is 8 days before the event. Our team-name master, Troy MacLellan, will assign your team a name in the event that one is not sent in time. If you want to make sure your team name is original, ﻿check here﻿. This is not an opportunity to improve your team. The spirit of this rule is that we do not wish teams to have to forfeit games due to an injury or required-absence BUT they must not upgrade* their teams, either. (i.e. a player among the other registered players). the lending team and the opposing team of the game in question. Opposing teams are highly encouraged to ﻿veto﻿ a borrowed player if they are thought to be an upgrade, and are encouraged to seek help in making a decision if they are unsure. Borrowing teams are to respect the decision of the opposing team. Do not try to 'make a case' for your request. If a request is vetoed; accept it and find another player. *A player is not of equal or similar skill-level simply by virtue of playing in the same Pool. It is not uncommon for B-level players to be found on 'D' teams, or C-level players to be found on 'A' teams, etc... Teams are encouraged ask for assistance if unsure. -if in doubt, find a player you are certain is not an upgrade. -pregnant women (or men, should the technology ever allow for it) are ineligible to register with a team but are more than welcome to volunteer!